Is An Irrational World Driving Rentoul Mental? 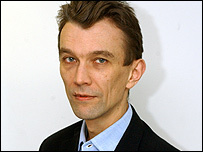 John Rentoul is the Indy on Sunday’s political commentator, this leaves him with too much time on his hands. The devil makes work for idle hands and Rentoul has become one of the commentariat’s most prolific tweeters. His amusing series “Questions to which the answer is no” debunks Daily Mail headlines of the “Do Fluffy Easter Bunnies Cause Cancer?” kind. The Herculean constant tweeting in an irrational world (at pixel time he has Twittered 43 tweets in the last 24 hours) has seen him cite over 500 cases of “Questions to which the answer is no”. He has thus set himself up as Twitter’s arbiter of rationalism as well as spending a lot of fruitless time defending Tony Blair from his detractors. A task which is the media equivalent of painting the Forth Bridge. Rentoul has now moved on from debunking conspiracy theories and loony headlines to critiquing reasonable speculation. Mike Smithson’s PoliticalBetting.com seems to be a constant target. It is reasonable for a writer covering betting on politics to run speculative headlines when discussing high risk betting opportunities, sceptics of Black-Scholes theory believing the improbable is under-priced in risk terms. Mike Smithson asks gambling questions like “Is Jim Murphy for leader worth a punt at 33-1?“, “Should Labour expel Hutton for his public sector pensions study?“ Questions which attract the Twittering ire of Rentoul, as do tweets which within 140 characters fail to cite sources or provide footnotes, Rentoul’s ire is bordering on an obsessive compulsive disorder. Is this a rational use of his time?